Most wholesale suppliers only work with businesses. They offer bulk discounts along with minimum purchasing requirements. A subsidiary of StonExchange, Nalboor is a wholesaler that works openly with residential customers as well as high-end designers, large-scale contractors and a range of builders. We take pride in bringing our low prices to the homeowner as well as the commercial customer so that you can enjoy the same high-quality merchandise as builders and architects. We carry a range of products, including Italian marble. When you’re ready to make a marble purchase to improve your home or work on a commercial project, here are a few of the benefits you can take advantage of when you work with Nalboor. Italian marble comes in neutral shades that are perfect for almost any project. Cool whites are available in Bianco Dolomiti, Crema Marfil Marble and Vanilla Oro. You can also bring in beautiful white stones with subtle shading by choosing Shell Reef Limestone or Champagne White Limestone. You can also choose shades of tan, brown or even a beautiful red that will serve as fantastic accent pieces and make any finished room more attractive. Use the contrasting colors for borders, or make a neutral floor of Adalia Cappuccino blend with the wall by installing coordinating tiles. The design options are limitless, but you can count on us for an attractive selection and stable supply. 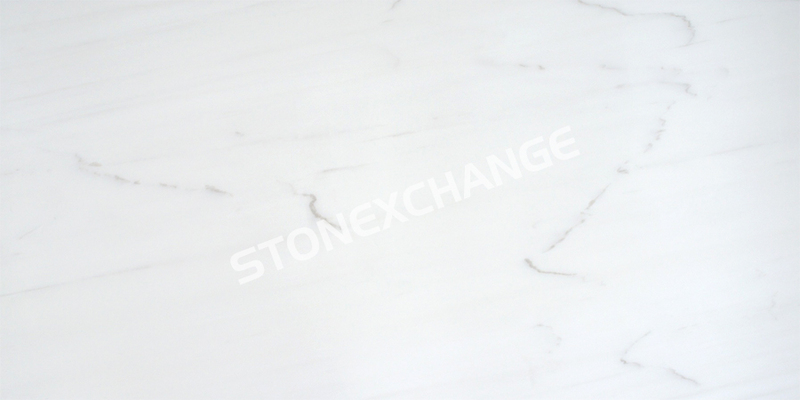 One of the great benefits of using natural marble is that you can replace tiles that have become scratched or damaged. Removing the tile is a simple process, and putting a new one in place will leave the floor looking like new. However, the process hinges on being able to find a comparable tile that will closely match your existing materials. It’s a smart idea to keep a few extra tiles on hand just in case one breaks. If you don’t have any extra and need to buy a replacement, it’s easier with Nalboor. Our parent company owns the quarries and manufacturing centers overseas, and that allows us to maintain a consistent inventory. While the color variations between years may not be exact, it is usually close enough to allow for sporadic repairs. We don’t typically sell just a single tile, but you can order a small case in order to replenish your stock of replacement tiles. Doing so will also ensure that any future replacements better match your original and replacement tiles. We’re happy to work with all types of consumers from individual homeowners to major architects and large-scale construction companies. However, our pricing is based on the quantity that’s purchased. As the volume increases, your cost-per-piece drops. Choosing neutral shades that can be used in multiple projects will help you save money on your overall construction expense. Private homeowners can save by choosing one basic marble that will work throughout their home and then using contrasting colors as accent pieces. The overall cost of your project will fall, but you’ll still have the beautiful colors that you love. If you’ve never worked with a wholesale before, there’s nothing to worry about. Our friendly customer service representatives are here to help you with the process. Builders and contractors appreciate our attention to detail. We want your order to arrive in a timely manner and without any mistakes, so we confirm all information. If you need help choosing the right material for a project, our experienced professionals can help you review the options and make the right choice for your needs. The price will drop as you purchase more in a single order, but everyone receives the same courteous treatment and excellent customer service. We’re happy to answer any questions you have, and we take pride in our quick responses. We maintain a solid inventory of our popular Italian marble at our Miami distribution center, so we’re ready to serve you at a moment’s notice. By working with top shippers around the nation, we’re able to contract better shipping rates and provide you with quicker service. When you don’t have to wait for the products to come in from overseas, you can shave weeks or even months off the delivery time. Merchandise is delivered directly to your home, business office or construction site for greater convenience. The crates are carefully packaged, so you can leave them in your garage or another storage area until you’re ready to use them. You may believe that all marble is created equal, but this isn’t accurate. The fact is that some marble is simply higher quality. A great deal of the stone’s durability is determined during the manufacturing as it is cut and polished for use in your next project. We pay close attention to detail in order to provide you with quality stones and consistent cuts. We strive for perfection because we want you to be pleased with your next order. In addition to saving money with wholesale pricing, you’ll also avoid frustration when you receive premium stones. The wonderful thing about marble is that you can use it throughout your home. It’s a lovely addition to a foyer where you want to make a great first impression on guests. Marble is commonly used in bathrooms because of its resistance to water. This same feature makes it a great choice for outdoor applications like patios and front porches. Tumbled marble is appropriate in these areas because provides you with better traction when it’s wet. Installed on walls or floors, marble is a fine choice for everything from counters and windowsills to bedroom floors. Here at Nalboor, we’re happy to offer nationwide shipping. Special orders are available if you need specific sizes, and we hope that you’ll save money with our wholesale rates. Customer service is important to us, and we’re looking forward to helping you place your order. Contact us today to discuss your upcoming project and see how we can supply you with all the Italian marble your new design calls for.